Very few flowers ellicit a big dose of nastalgia as the magnificent hydrangea. This gorgeous workhorse of the summer garden is likely still bringing beauty to your fall garden and planters. Hydrangeas are my number 1 choice for planter flowers. I plant them in early spring and they bloom all summer through fall. I get tremendous bang for my buck with low maintenance appeal. When transitioning the garden for winter, did you know you can leave any potted hydrangeas to overwinter right in their containers? Choose frost resistant containers and you can leave the plants in the pots outside. 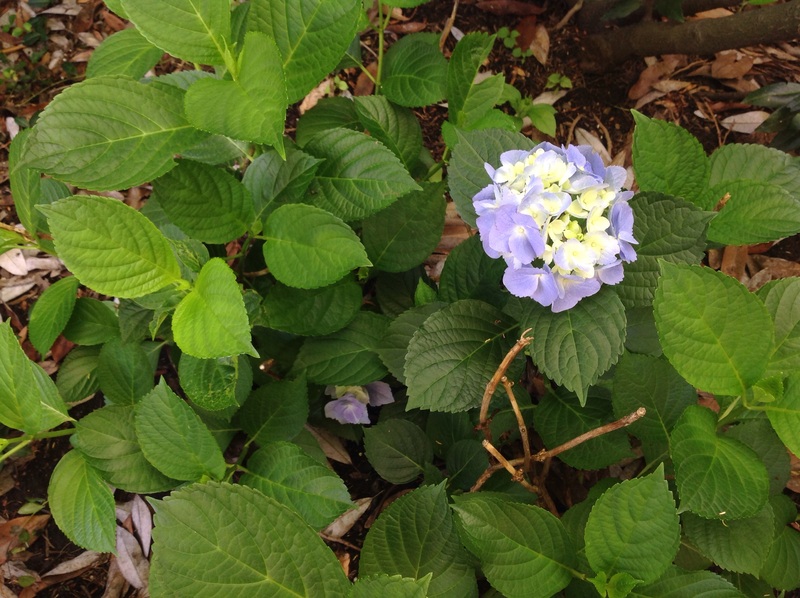 The leaves will die off, the soil will freeze and the shrub will become dormant just like any hydrangeas in the ground. If your container is not frost resistant, the hydrangeas can be brought inside an unheated garden shed or garage and the pot laid on its side. But using frost resistant pots is the easiest solution to avoid having to move heavy containers. Who has time for another garden chore? I have had great success with H. Macrophylla in pots. Come spring, the shrubs leaf out and flower at the same time as their cousins in the ground. You don’t need dwarf varieties. The size of the container will limit the growth of the plant. It is best to plant hydrangeas in a 18-20″ diameter planters from the start. I don’t fertilize my planters but do add coffee grounds and tea leaves to enrich the soil. Sometimes I will have a container plant that leafs out but does not produce flowers. This is due to frost damage of the new flower buds. The shrub is healthy and usually flowers the next summer. 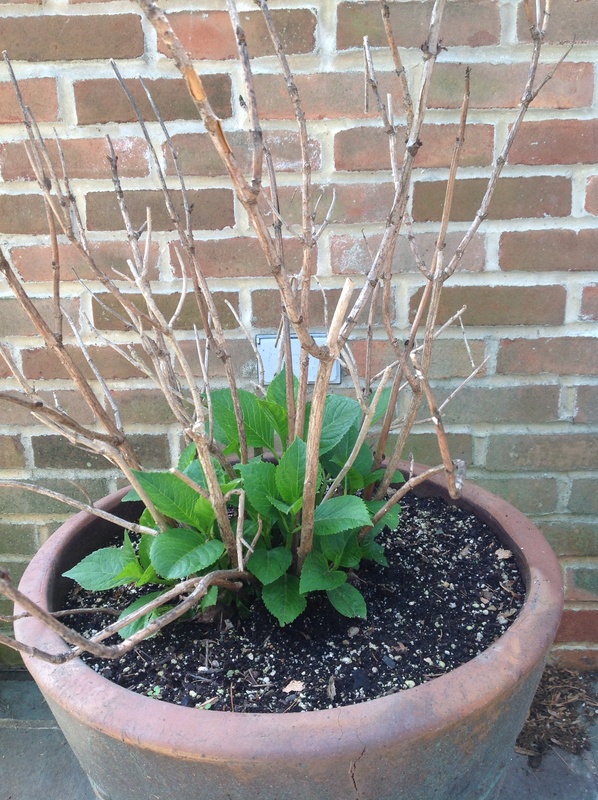 Hydrangea leafing out in spring after spending the winter outdoors in a container. The other choice for hydrangeas grown in pots, is to transplant them into your garden. Early fall is the ideal time to do so to allow the plant time to develop its root system further before winter. Many of the hydrangeas in my garden started life in patio pots for several seasons. Choose a location with morning sun and afternoon shade for the best performance. Hydrangea transplanted from a porch planter into the ground. It is flowering in its first summer. One word of caution: florist hydrangeas that are forced to flower outside their natural cycle may not fare as well when growing them in successive seasons, whether in a pot or in the ground. You have nothing to lose in trying but greater success is assured when choosing hydrangeas grown for planting in your climate zone that have not previously been forced. Fall is also the time to dry hydrangeas for indoor floral arrangements and crafts. 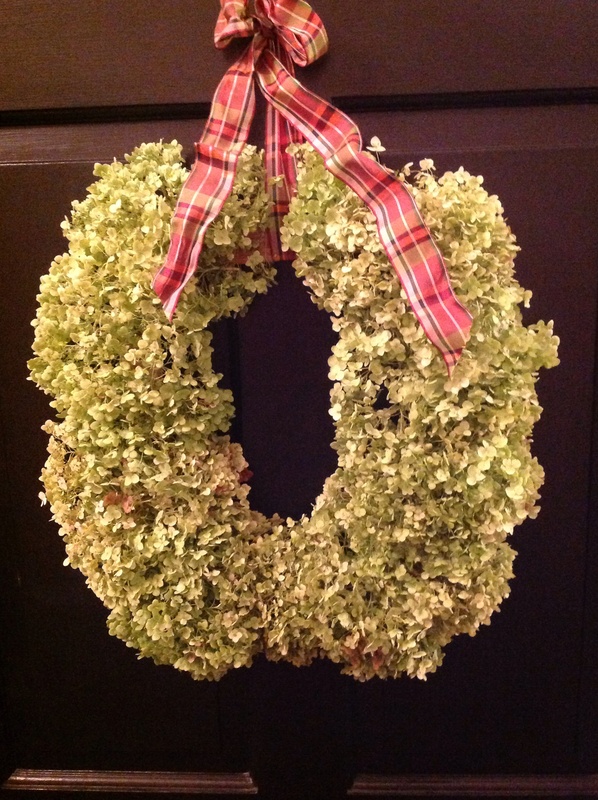 To read about how to dry hydrangeas and get some ideas for using them, including instructions for making this wreath please click here. This entry was posted in Gardening and tagged Dired hydrangea wreath project, how to dry hydrangeas, hydrangea crafts, overwintering hydrangeas in containers, Overwintering hydrangeas in pots, transplanting hydrangeas in containers into the garden by Johanne Lamarche. Bookmark the permalink. 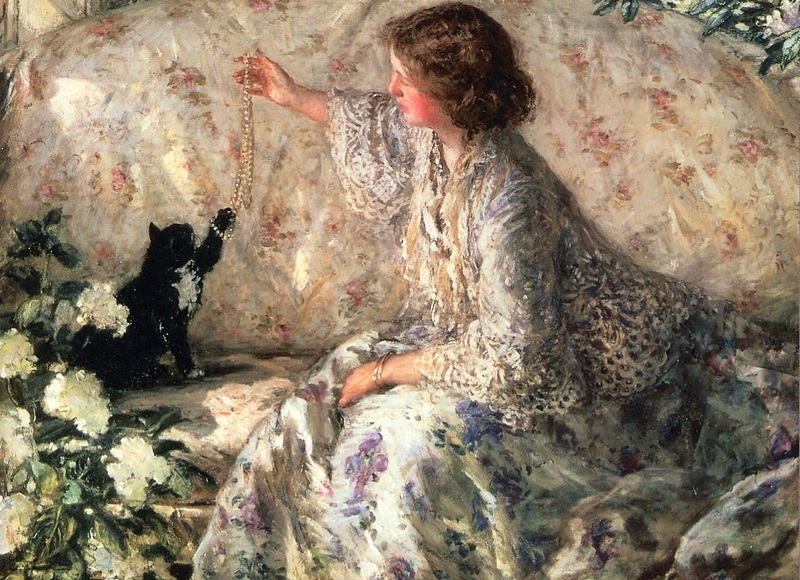 Looks like Oreo in the Painting! Hydrangeas always look so pretty and full of life! Hydrangeas have been my favorite since I was a child. I just remember seeing that blue ball bush and loving it! Thanks for the information! Thanks Eileen! Don’t you love that Steer painting at the end? I would love to see it in person someday! I just love hydrangeas, but have a very limited area to grow them. I’m whining. This is a great post, I would have never thought you could have continued success from planting perennials in a pot! You are in good company Julie! The first time I tried hydrangeas in a container, I threw a gift one in a pot because I did not have a place to plant it. I just left it there to see how it would do over the winter. The rest is…history! Thanks for stopping by.